Roll Wish Move Event Video Launches! Last month, we had the privilege to be a part of a great event called Roll Wish Move which set out to raise money for the Children's Wish Foundation. They put on a great event with a zero dollar budget! We were there to capture all the excitement and you can see the final video here! Last month, our CEO, Casey Li was honoured to receive one of four Co-op Employer of the Year awards from the University of Ottawa. Casey was nominated by our co-op students Yuhan Lee and Jack Wu. It was a great night to celebrate and realize the impact a small company can make! We are very proud to announce that the App8 Promo video has launched. This was easily one of our biggest productions to date and we're happy to be a part of an app and company we truly believe in. App8 allows you to eat at a restaurant and simply pay on your phone when you're ready to go! No more waiting around! Check out the video here! Rewind: "If I lost my website data..." launches! 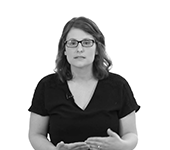 Rewind, a backup solution for online platform data, approached us a few months ago about creating a client testimonial video. What ensued was a strong creative vision and one of our biggest productions yet. We're happy to announce that it launched today and you can check it out here! We are incredibly excited to premiere "Our Story". We've been working on this documentary for the past 4 months and are happy to now share our journey with the world. Special thanks to all who were involved. Check it out here! With our very first co-op student, Yuhan Lee, moving onto a new opportunity, BiteSite welcomes its latest full-stack web developer, Jack Wu! 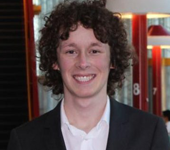 Jack brings with him freelance web development experience and has already shown to be very knowledgeable in the field. Welcome, Jack! We're excited to see what you'll bring to the company! 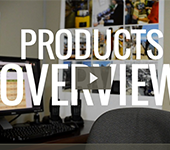 Solink's latest Customer Testimonial Video launches! Having done two projects with us before, Solink approached us about producing another client testimonial video of one of their latest clients. Owning several franchise locations, their client talked about how Solink brings their business into the new age of smart businesses. Check out the results here! Brendan McNeill has been working with BiteSite helping us with sales and producing duties. 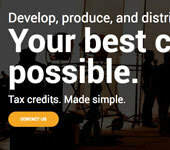 However, he also runs his own company, Above the Line Media Services which helps productions with tax credit applications, strategic advice, and other matters to maximize the quality of content that a production can produce. We revamped Above the Line's site and launched it last week. Check it out here! 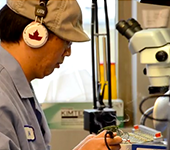 Pallium Canada "We're at a Turning Point" Video Launches! As part of a new web strategy headed by U7 Solutions, we were happy to create an animated explainer video for Pallium Canada to communicate their message in a clear and concise manner. We worked hard with the folks at Pallium to get the message and tone just right and are happy to share the results today. Check it out here! 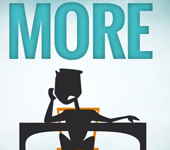 BiteSite has had a long relationship with FileFacets producing animated explainer videos. With the arrival of GDPR, FileFacets wanted to showcase an enhancement to their already-strong offering. 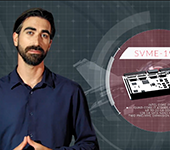 We were proud to produce an animated explainer video for their new DSAR Management Module. Check it out here! Over the past few years, we've had a great relationship with L-SPARK and the companies they bring in every year. We were fortunate to catch up with three of these companies and produce a video for each for this year's L-SPARK grad. Check them out the Mydoma video here, the FileFacets video here, and the Upchain video here! Another year gone and another amazing year of work. We always strive to work on bigger and better projects and 2017 helped us down that path. Big thanks to all our amazing clients for giving us the opportunity create some amazing work. Check out some of the highlights here! 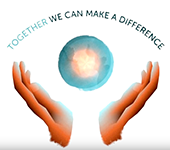 Iridian Spectral Technologies Promo Video Launches! In one of our biggest projects to date, we worked with Iridian Spectral Technologies to create a video that showcased their approach to providing optical filter solutions for their clients. Everything from their partnership mentality, to their leading edge technology, to their in-house processes, Iridian is a true leader in this space. We were happy to produce this polished video for them. Check it out here. Curtiss-Wright Defense Solutions approached BiteSite last year to create a video to explain the benefits of their new Total Lifecycle Management services. 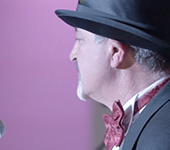 Working closely with the TLCM team, we were excited to deliver this project which featured scripted acting, location shoots, and complex motion graphics. This is one of our biggest projects to date and are happy to share it with everybody. Check it out here. A few years ago, BiteSite had the chance to work with Enterprise Wireless Alliance - a true tech leader in the frequency certification space. Recently they launched a revolutionary mobile app that heavily reduced the effort involved in certifying frequencies and approached us about producing an accompanying explainer video. We're happy to share the results today. Check it out here! 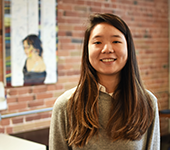 BiteSite is excited to welcome to the team our first co-op student, Yuhan Lee! From the University of Ottawa, Yuhan impressed us with her interview and past experience. She joins our software team and we're excited to see what she'll bring to the table. Welcome, Yuhan! This past year, BiteSite decided that it was time to start giving back to the community. As a result, we met Camp Misquah - a summer camp program for children and adults with developmental disabilities located just outside Ottawa. We had a great time meeting the staff and the campers and were proud to put together this video for them. Check it out here! L-SPARK 2017 Cohort Video Behind the Scenes! The L-SPARK 2017 Cohort Video was one of our biggest projects to date. There was a lot we learned and a lot that went into it, so we wanted to share some insight with the world. Check out our behind the scenes look here! A couple of months back, BiteSite covered the Canadian unveiling of the Sigelock Spartan - a brand new, redesigned fire hydrant. This past August, International Safety celebrated its first installation on Canadian soil and we were there to cover it. Check it out here! One of our first hires, Menelik Tucker, has decided to pursue a new adventure and leave BiteSIte. 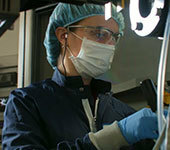 Tucker was brought on to help with the Splice (www.splice.co) project and has made many significant contributions. In his later months, he was lead developer and also took on design work. We'll miss Tucker for sure, but wish him luck at his new job. Thanks, Tucker! 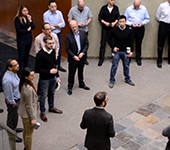 BiteSite prides ourselves on company culture and process. One of the things we do to keep our minds sharp and our work fun is have 20% free time, where employees are encouraged to work on whatever they want. One of our projects, Fallowfield, a mobile app to help with lens crop factors was born out of the 20% free time and has now been featured in a Cinema5d.com article! Check it out here! 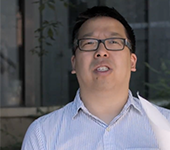 L-SPARK 2017 Cohort Video Launches! For three years straight now, our biggest and best production has been the L-SPARK graduation video. Every year, we try to up our game and push the boundaries of what we can do. This year was no different. We started production back in February of this year and it's been a crazy ride but it has been worth it. The result of all our hard work debuted yesterday at the 2017 SaaS Showcase, Ottawa Edition. Check it out here! Always pushing our creative boundaries, L-SPARK approached us about creating some clean, short alumni stories. 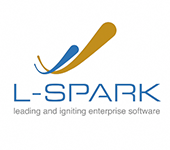 We interviewed 5 CEOs of past L-SPARK companies and the result launched last week. Check it out here! After years of collaboration on building InternationalSafety.com, CEO, Gus Khouri reached out to BiteSite for our video services. International Safety brought the Sigelock Spartan to Canada - a brand new fire hydrant and we were there to cover one of its first unveilings. Check out the video here! In deciding on what new cameras and lenses to buy, we frequently run into the issue of different sensor sizes and getting a true sense of what certain focal lengths will look like. That's why we built Fallowfield. 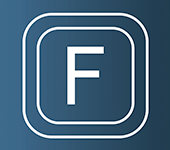 A simple crop-factor convertor that's now available on the App Store. Check out the promo here! 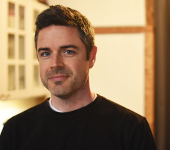 BiteSite is excited to bring on board its first producer, Brendan McNeill! With years of experience in the film industry, Brendan will be bringing in and producing BiteSIte's bigger productions. We're excited to see where this turning point in BiteSite's history brings us. Welcome aboard, Brendan! It's been an amazing year and we'd like to thank all of our clients for the opportunity to work on some amazing projects. To celebrate, we put together this demo reel to highlight our film production work for 2016. Check it out here! ADGA Group Consultants worked with U7 Solutions to bring a fresh website to their audience and communicate the true value they offer. To cap it off, they wanted a slick motion graphics video to complement their recent marketing effort. Working with ADGA's Melanie Di Tullio and U7 solutions, we were able to create a slick final product. Check it out here! 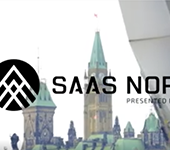 SaaS North Trailer 2 Launches! 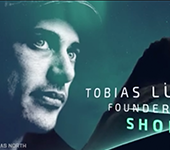 The buzz for SaaS North continues! Working with Cube Business Media, Patrick White, and Velour Productions, we put together a promotional video highlighting presenters and attendees' excitement for this huge event! Check out the results here! BiteSite has had a long running relationship with L-SPARK, and when they decided to kick-off the first ever Canadian SaaS conference, we jumped at the chance to be a part of it. Working with Cube Business Media, the organization managing the conference, we were able to kick out a video highlighting the speakers. Check out the results here! 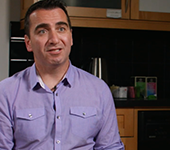 Solink Tim Horton's Testimonial Video Launches! Solink was one of BiteSite's earliest customers. 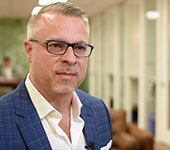 Chris Beaudoin and his team came to us with the idea of producing a customer Testimonial video with one of their biggest clients - Tim Horton's. Their goal was to reduce the amount of times potential customers had to jump on the phone with the franchisee. We're happy to announce the finished video launched today. Check it out here! Last May, we wanted to start testing some Blackmagic Design cameras. 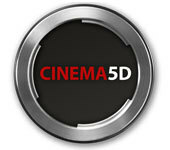 We heard a lot about the benefits of shooting with a 'cinema' camera and we wanted to see for ourselves. 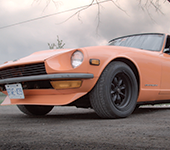 We started with the entry-level Blackmagic Pocket Cinema Camera and put together this documentary about the 1971 Datsun 240z. Check it out here! Teldio has always had a strong relationship with BiteSite going back to the days when Casey Li worked with them. Their latest product, D3M has been getting a lot of attention and they wanted to capture the success that it has brought its clients. 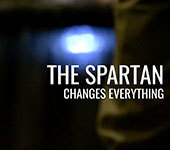 The result was a strong testimonials video that launched today! Check it out here! Last Friday, we decided to a take on a little project for ourselves during our 20% Free Time and are very happy with the results! 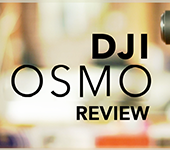 We've been shooting with the DJI Osmo for a couple of months now and decided to do an in-depth review. Check it out here! 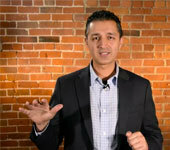 Anil Dilawri of Save It Like Sully is a well established Executive Presentation Coach. He approached BiteSite with a vision to create a video training series that would encapsulate a lot of his teachings and philosophies to help scale his business. The result was The Ultimate Investor Pitch Guide. This is another example of what happens when both client and service provider put their best foot forward. We are happy to see that the series has just launched on Kajabi. Check it out here! 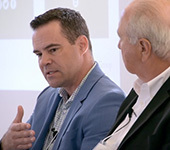 After seeing the work we had done for L-SPARK, our newest client, Welch LLP, approached BiteSite to infuse a cinematic look into their event coverage videos. The result was a great highlight reel of a Mergers and Acquisitions event held by WelchGroup Consulting shot at the beautiful Ottawa Hunt & Golf Club. Check out the results here! 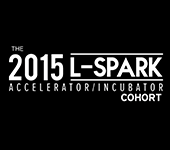 It's been an amazing couple of months of production, but we're happy to announce this year's L-SPARK Cohort video. This is by far our biggest and best live production and the reception at this year's SaaS Showcase was totally worth it. Special thanks to the L-SPARK team and all the companies who participated. Check out the video here! BiteSite is excited to bring on board our first designer! 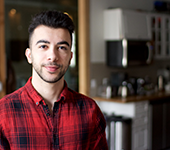 Nadim Abdelmalek is a graduating Graphic Design student from Algonquin College and brings to the table his skills that will enhance both our software development and film production offering. We're excited to see what a trained designer can do for our work. Welcome, Nadim! 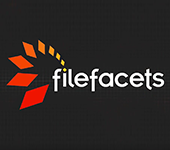 With a recent re-branding and new marketing strategy, CEO Chris Perram of FileFacets approached the BiteSite team to create a video to explain how their information governance solution worked. Drawing inspiration from the product itself, BiteSite set out to create a animated video with a visual style unlike anything we'd done before. With a clear vision and amazing collaboration with the FileFacets team, we were able to produce something we're truly proud of. Check it out here! 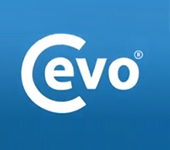 We're excited to announce the launch of the Cevo Explainer video. Enterprise Wireless Alliance is a leader when it comes to handling FCC licensing and with their extensive experience, they developed a powerful tool to manage the entire process called Cevo. They wanted an animated explainer video to go along with their product and we were happy to deliver. Check out the result here! BiteSIte has been working with L-SPARK for over a year now producing a wide variety of videos. One of the key events over that time has been the announcement of their new cohorts. 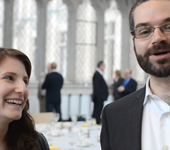 We were their to cover the new incubator pre-selection dinner, pitchfest, and orientation day and put together a video to go along with the announcement. Check it out here! 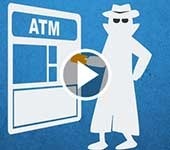 Martello MarWatch Explainer Video Launches! BiteSite has had a good working relationship with Martello Technologies over the past few years and our latest project together has proven to be its best. 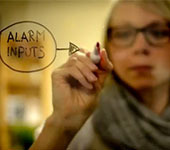 Martello needed an explainer video to highlight their MarWatch product and its ability to monitor virtually any device. What resulted was one of our best animated videos yet! Check it out here! BiteSite is excited to announce its first hire for the video production team: Tim Clark! Tim brings with him great experience and skills from running his own company StudioMograph and within his first few days at BiteSite, he has already produced amazing work. Welcome to the team, Tim. We look forward to our time together! BiteSite has established a great relationship with L-SPARK over the past year and the projects have been getting bigger and better. 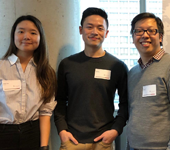 Most recently, at L-SPARK SaaS Showcase event at the Ottawa Museum of Nature, the 2015 L-SPARK Accelerator/Incubator Cohort Grad video debuted. We are proud to call this one of our best video productions. You can check it out here! 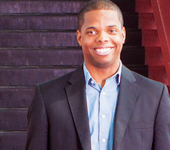 BiteSite is excited to announce its newest member of the team - Menelik Tucker! 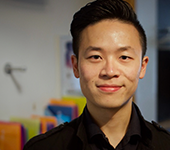 Tucker first met BiteSite founder, Casey Li at a Ruby on Rails course and he has been strengthening his web development skills ever since. His design experience combined with his engineering background make him a strong addition to BiteSite. Welcome Tucker! We can't wait to see what you'll produce! 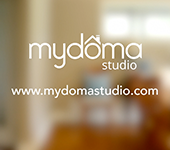 We are very excited to announce the launch of the Mydoma Studio video. Mydoma Studio is a new e-Design tool for interior designers and the founders Sarah Daniele and Thomas Martineau wanted a video to showcase their new product. Working in heavy collaboration over the past month, we were able to pull together and produce one of BiteSite's best videos to date. Check it out here! 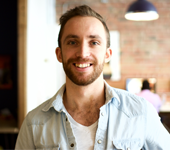 BiteSite is excited to welcome to the team its first hire - Ryan O'Connor! 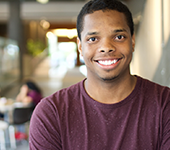 Ryan is a University of Ottawa student that's active in the student community and brings with him his strong software engineering skills. This is another step in the continued growth of the company and we're excited to see where the future brings us. Welcome Ryan and we're excited to see all that you can bring to BiteSite! 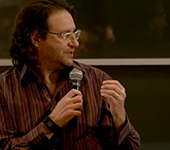 L-SPARK hosted one of its biggest events yet by welcoming Brad Feld & Sean Wise to Ottawa. The day was spread over 2 major events at Algonquin College and the Canadian Museum of Nature. It was filled with insightful chats, impressive pitches, and valuable advice. Working with Parktown Studios, BiteSite was there to capture all the action. Check out one of our best works here. Renewity RMA approached BiteSite about making a video to launch with their rebranding. They wanted to capture the essence of the customers that use their software to manage their organization's workflow. Using Instantel as their candidate, BiteSite was able to produce a quick look at the people who use Renewity RMA. Check out the results here! L-SPARK is Canada's newest Incubator-Accelerator program helping startups achieve their dreams of success. Recently, L-SPARK selected its 6 new incubator companies and BiteSite was there to cover it all. Check out the results here! 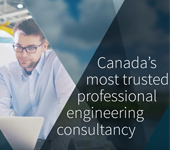 L-SPARK, a new company based in Kanata, Ontario, Canada that provides incubator and accelerator programs to SaaS companies has partnered with BiteSite to produce a series of videos ranging from promotion to thought leadership and more. BiteSite has been covering L-Spark's events and interviewing their mentors and staff to provide a full picture of what the company is all about. Check out the results at L-Spark's YouTube channel here. BiteSite has collaborated with MultiNexus in the past on the Horses by Hannah project. When it came time to redesign their own website, MultiNexus enlisted BIteSite again to provide a modern, responsive design while incorporating the essence of their original site. 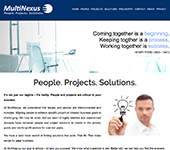 The resulting, redesigned MultiNexus.com launched last week. Check it out here! BiteSite is always striving to improve its offering to customers by educating its staff on the latest technologies. 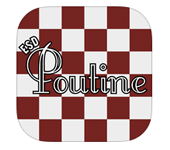 As an experiment in learning Swift (the new native language for iOS applications), BiteSite built an app about something its staff is passionate about, Elgin Street Diner Poutine! This app helps you decide whether or not to give into those late night cravings! Check it out here. 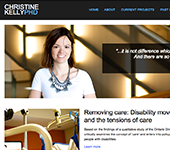 Christine Kelly, PhD, a Banting Postdoctoral Fellow currently at the University of Ottawa was looking for a professional website to showcase her projects and publications. She came to BiteSite for our web and photography services. 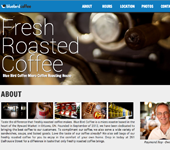 The result was a website complete with content management, elegant styling, and custom photos to match Christine's work. Check it out here. 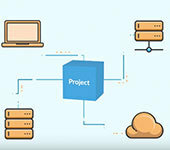 After the success of the Teldio D3M video, BiteSite was approached by Solink to produce an explainer video for their product. Solink develops a video discovery platform that helps organizations extract useful information from their video data to produce actionable intelligence. 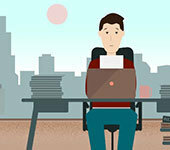 The marketing team at Solink provided an excellent script with great storyboards to help produce another video success. Check it out on their home page here. Last year, BiteSite held its first ever wedding video contest where one lucky couple got a free wedding video package. The winners were drawn from a pool of entrants and Tharie Vong & Andrew Ouellette from Ottawa were the lucky couple picked. They had a beautiful wedding in Fall 2013 and the trailer for their wedding has now been posted. Click here to check it out! 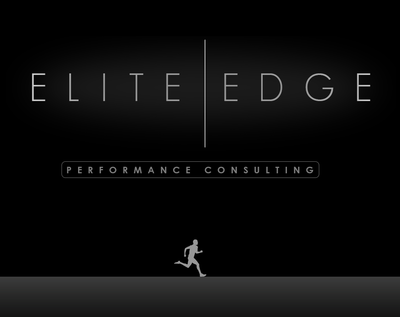 Nick Alderton recently moved to Calgary Alberta to start offering his professional performance consulting services. Like many in his field, Nick was looking for a professional, clean looking website to match his business. 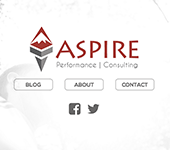 He approached BiteSite and the official Aspire Performance Consulting website was the result. Combining basic information with a blog, Nick's site launched today. Click here to check it out! Horses by Hannah is a horse stable based in Casselman, Ontario with lots to offer to the riding community including Horses for Sale, the Pony Club, Private Lessons, and a Show Team of dedicated and committed riders. 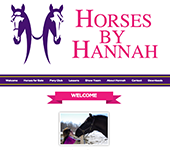 Horses by Hannah contacted BiteSite to revamp their website for the 2014 season with the goal of refreshing the look and making it mobile friendly. BiteSite worked hard with the Horses by Hannah team and a proud to announce the launch of the website today. Check it out here! BiteSite is proud to reveal its first animated video. BiteSite has produced many live-action videos (which you can browse in our portfolio), but we have never ventured into the world of animation. Collaborating once again with the marketing team from Teldio, the two came up with the idea to do a animated video to promote the launch of their new web-based two-way radio management tool, D3M. We are incredibly proud of the results and this opens up a world of possibilities for the future. Check it out here! After months of collaborative work, BiteSite is proud to announce the launch of WeRaiseSocial.com. Working with BiteSite, founder Amy Hing created a meetup style web application that is the home of Events for a Cause. 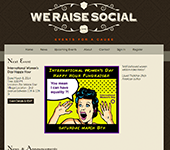 We Raise Social is based out of New York City and hosts events where socialization meets social consciousness. For this application, BiteSite created a backend that allowed administrators to manage events, and guests to manage their profiles and RSVPs. Check it out here and join the movement today! 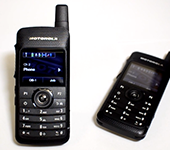 BiteSite has had a long, proud working relationship with Teldio - a leader in the Two-way Radio Applications market. Besides development efforts, BiteSite has worked with Teldio's marketing team to produce a number of high quality videos ranging from Training to Promotional. Today, BiteSite and Teldio posted one of their best productions - a video walking through Teldio's ACS product. Check it out here! 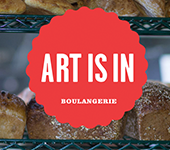 Art Is In Bakery's New Site Launches! Art Is Bakery is one of Ottawa's truly unique experiences - a full blown bakery serving the Ottawa area and a Cafe serving amazing food all in one. Art Is In Bakery recently hired several parties to revamp their website and BiteSite was there to provide the implementation for the site and its powerful backend CMS to manage the site. Check it out here! What is easily the highest traffic website BiteSite has built to date, AirlineRouteMaps.com launched today after many months of hard work. 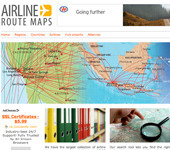 AirlineRouteMaps.com is the number one site for route maps with over 1200 maps from over 800 airlines in 200 countries! This project demanded a sophisticated data backend to power a useful site where users can view maps and easily navigate to a myriad of related maps. Check it out here! 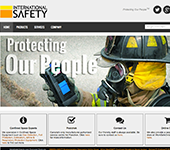 International Safety has been selling safety equipment for years from it's catalog of over 15,000 products! When it came time to completely revamp their website, International Safety employed BIteSite's services to build a modern, stylish website complete with a backend office to manage all their products. Inspired by Windows 8 tiles, InternationalSafety.com has been BIteSite's biggest project to date and today it launched! Check out the site here! 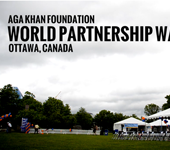 The Canadian arm of the Aga Khan Foundation recently held one of their 2013 Partnership Walks in Ottawa, Canada and BiteSite was their to capture all the action. This walk is held every year to raise money to end world poverty. Taking place on Major Hill's Park, this year's event was a huge success with a big turnout and live entertainment. Check out the video here! Wedding Video Contest Winners Announced! 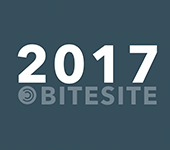 To celebrate the launch of our Wedding Services including Video Production, Photography, and Web Design, BiteSite announced a few weeks ago its annual Wedding Video Contest! One lucky couple in the Ottawa Area each year would receive a $2000 Wedding Video Package and that couple this year in Tharie Vong and Andrew Ouellette. Congratulations Tharie and Andrew! 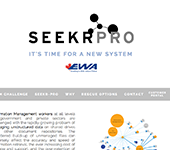 When EWA Canada was putting together their brand new document management system, Seekr-Pro, they new they wanted a slick website to go along with the launch. They wanted something that was very different from their traditional marketing material and thus enlisted BiteSite's Web Design and Development services. Along with the marketing pages, BiteSite also built out a customer portal complete with integration into EWA Canada's ticket system Check out the results here! And the video production train keeps on rolling. 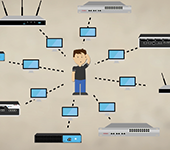 Hot off the heels of the 8 training videos that BiteSite put together for Teldio comes the brand new Teldio Products Overview Video. This latest video production from BiteSite highlights the professional quality video and motion graphics that we can provide. BiteSite also helped create the script. What results is another video that has come out of the great relationship between BiteSite and Teldio. Check it out here! BiteSite has had a long working relationship with Teldio. From their birthday video, to their recruiting video, to their upcoming products overview, Teldio has always had a strong marketing team with focus on high-quality work. 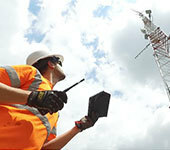 BiteSite helped Teldio recently to put together 8 short training videos for their customers on their RBX +Plus product. Check out 2 samples here and here. Founded in September of 2012, Raymond Roy decided to open up a Micro Coffee Roaster in the heart of the Ottawa Byward Market. To grow the already successful business, Raymond asked BiteSite to build him a site that would up his search engine results, present the atmosphere of the shop, and incorporate some of his already present features like a indoor-Google maps tour. BiteSite quickly put together the site with a unique design and custom photography and today the website has launched! Check it out here! Tiffany Hansen is an accomplished harpist based out of Calgary, Alberta. After seeing the work that BiteSite had done for other Alberta clients like Elite Edge, Tiffany decided to enlist BiteSite to create her website. Featuring a classic elegant design and an integrated music player, the site was created with elements that reflect the tone and feel of the harp. Check out the site here. To celebrate the official launch of BiteSite's wedding services including Web Design & Development, Photography, and Video, we are giving away a wedding video package for free to one lucky couple in the Ottawa, Canada area! This prize is valued at $2000! To enter and read full contest rules & regulations, click here! And the video production train keeps on chugging! BiteSite recently has had a flood of video work and the latest is probably our best work yet. 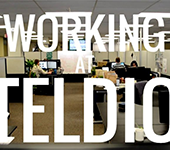 "Working at Teldio" gives a brief glimpse into what it's like to work in offices of this startup based in Kanata, Ontario. Chris Sisto, Teldio's director of marketing, approached BiteSite about creating a recruiting video, and the following is what resulted. Click here to view the video. 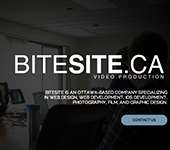 As BiteSite continues its work in the Ottawa Area, we realized that we are starting to pick up a lot of video work and our portfolio is growing fast. 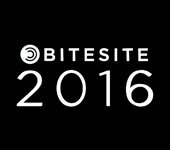 To share all our work with our current and new customers, BiteSite has decided to launch a dedicated video portal. There, you will be able to see our growing library of video work including wedding videos, promotional corporate videos, and more. Visit the portal now by clicking here. 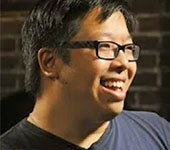 Casey Li (founder of BiteSite) previously worked full-time for Teldio as a senior developer. 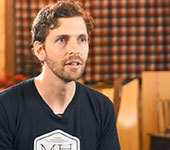 Although Casey's new venture is BiteSite, Casey still keeps a close relationship with Teldio and continues to contribute to their work. 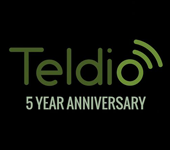 On March 8th, 2013, Teldio celebrated its 5th birthday, and Casey was there to capture it all on video and put together a quick montage of the day. Special thanks to the Teldio staff! Check out the video here. 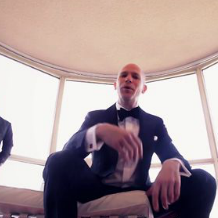 Last September, BiteSite attended Hana & Chris' wedding to capture their special day on video. Hana & Chris have been long-time friends with the staff at BiteSite and was impressed by their previous work. BiteSite was there to capture everything from getting ready in the morning to the final dance. On top of a full length edit, BiteSite also put together a highlight reel that is now available for viewing. Check out the video here. Alayne Hing, a Performance Consultant based in Calgary, Alberta had been running her own website for several years and decided it was time for a re-design. She approached BiteSite earlier to design her business cards and decided to enlist our Web Design services as well. She wanted the website to reflect the sleek, elegant design of the business cards and what resulted launched today! Check out the site here! 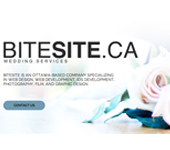 After seeing the work BiteSite did on "m&d", a lovely couple Jen & Wayne decided to enlist our services to build a site for their special day. Working closely with the couple, BiteSite was able to create the nautical theme they desired to showcase their story, the wedding events, travel and accommodations, gift registry, and more. 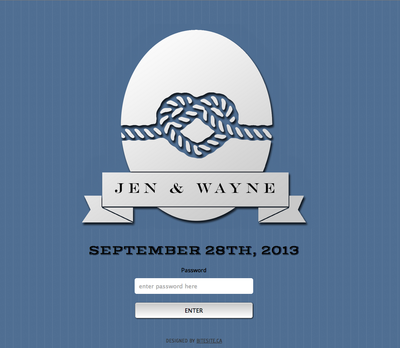 This site is a one-stop shop for all their wedding guest needs and features password protection to allow only authorized guests. Special thanks to Jen & Wayne for being such great clients! Check out the site here. We've just put together our new demo reel to go along with our new site! The new demo reel showcases BiteSite's range in video production. Everything from Documentary, to Wedding, to Corporate shoots - BiteSite enjoys it all. A big thanks to the company Wistia - an amazing video hosting service with an amazing blog for videographers. You can check out the demo reel here. Liam Wong is a passionate Sound Designer based out of Vancouver. His credits include being Lead Sound Designer on Captain America (PS3, XBox) and Transformers: Cybertron Adventures (Wii) among others. Liam was looking for a fresh site to display his portfolio of work and BiteSite.ca was his vendor of choice. LiamWongSound.com was the result and launched a short while ago. 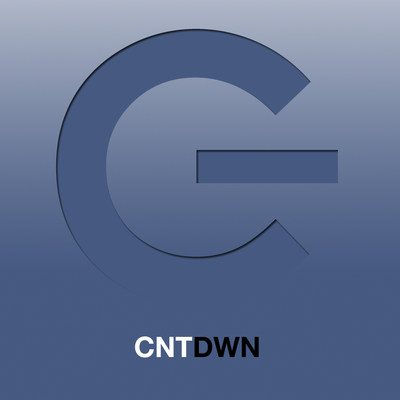 BiteSite.ca Launches it's first iOS App: CNTDWN! m&d, a wedding website designed by BiteSite for a lovely couple, Marilyn and Douglas has been live for several months now. 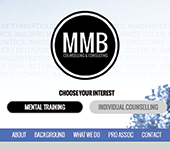 However, launching on tuesday was a video put together by their videographer and featured on m&d. It has only been a couple of days but has already garnered almost 2000 views. 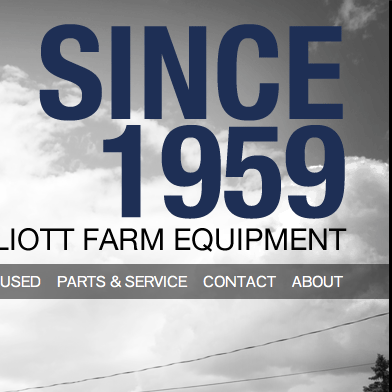 Elliott Farm Equipment Website Launches! BiteSite has officially launched the Elliott Farm Equipment website! Elliott Farm Equipment was BiteSite's first official customer. The website features a elegant design along with content management for Specials and Used Equipment listings. Click here to launch the website.